Please note there are volume discounts if you order between 2 to 14 through the website. These are added automatically when you enter 2 or more in the basket quantity box. For higher quantities please contact us directly at <sales at software-partners.co.uk> or telephone 01926 842998. To return to the software site click here. Prices exclude VAT. Tax is applied on checkout based on country. upgrade to the latest version from any previous version of this product. If you need editing and overlay features see the professional version. Upgrade to the standard server edition from any previous version of this product. It allows central management of settings and licences within a business. Administrators can see how many licences there are and who has the licences. Licences are registered against individual users until either the user or administrator cancels them - they are then returned to the available licence pool. Licences are not of the 'concurrent user type'. 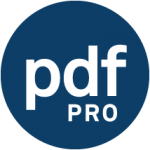 upgrade to pdfFactory professional from any previous versions of this product. You can create and use overlays such as letterhead or cut/copy/paste blocks of text. Upgrades to the latest server edition from any earlier version of the product The serverallows central management of settings and licences within a business. Licences are registered against individual users until either the user or administrator cancels them - they are then returned to the available licence pool. Licences are not of the 'concurrent user type'. Upgrade FinePrint to the latest version from any previous version of this product. Upgrade to the latest FinePrint server edition from any previous version of the product. Licences are registered against individual users until either the user or administrator cancels them - they are then returned to the available licence pool. Licences are not of the 'concurrent user type'. Upgrade/move from current pdfFactory standard workstation to current pdfFactory professional workstation. Upgrade/move from current pdfFactory standard server to current pdfFactory professional server.